Oncologists are more optimistic about defeating cancer today thanks to the development of drugs that home in on targets found only in cancer cells. But the creation of synthetic targeted drugs is not the only way to achieve this. In the 1990s scientists from the UK discovered that nature itself supplies us with a particular mechanism we can all make use of for inducing cancer cells to self-destruct, while leaving normal cells alone. The compounds that activate this mechanism are found in fruits, vegetables and herbs. They’re called salvestrols. Just to let you know how far ahead of the curve this publication usually is, we wrote about salvestrols three years ago (Issue #560). At the time, there was only case study evidence — no clinical studies – to support the use of the supplement, although the accounts of individual treatments were impressive. Now we can say with a high level of confidence that this is something cancer patients should consider. Cancer researcher Dan Burke and his team at the University of Aberdeen, Scotland were investigating the effect of cytochrome P450 enzymes on the chemical structure of chemotherapy drugs and how this changes their activity. This family of enzymes has many roles including the breakdown and elimination of pharmaceuticals and toxins in the liver (phase 1 detoxification). During their research, they came across an enzyme that was present in cancer cells but not normal cells. The characteristics of this enzyme meant it couldn’t be one that was already known. There were two known members of this sub-family of enzymes, but for the first time the researchers found a third. Their application for a grant for further research was turned down because the grant body said their findings were not credible. Fortunately, researchers in the US made this discovery at much the same time, and Dr Burke was able to continue to get funding for his research. The enzyme was named CYP1B1, and was found in the full range of cancer cells from pre-cancerous cells through to late-stage metastases. Biopsy samples of 14 different human cancers – every type tested – contained the enzyme, but no evidence of it could be found in healthy cells or even normal cells within tumors. In due course this was found to be true in 26 different cancers. The MD Anderson Cancer Center also showed that glioblastoma (brain cancer) cells have CYP1B1 but healthy brain cells do not. After further research by the Aberdeen group as well as independent laboratories, the enzyme was described as being highly overexpressed in cancer cells with minimal expression in healthy tissue. The Dana Farber Cancer Center in Boston considered CYP1B1 to be a universal tumor marker in a paper published in 2008. Unfortunately, this idea became controversial and today US researchers have much less interest in targeting the enzyme. This came about because there are two other aspects to CYP1B1 besides the enzyme: The CYP1B1 gene – which provides the roadmap for making the enzyme — is found in the nucleus of every cell in the body, and CYP1B1 messenger RNA, which is likewise found in healthy cells. The RNA carries the signal from the gene in the nucleus of the cell to stimulate production of the enzyme. This messenger RNA is found in cancer cells but also in some healthy cells. Failure to distinguish between the CYP1B1 enzyme and CYP1B1 messenger RNA led to the conclusion that CYP1B1 also occurs in normal cells and therefore would not be an accurate indicator of cancer. But now we know it is only the CYP1B1 messenger RNA, not the CYP1B1 enzyme, that occurs in normal cells. The enzyme is found only in cancer cells. Before targeting CYP1B1 went out of favor in the US, Dr. Burke theorized that the existence of this enzyme should enable his team to create a prodrug — a compound that is harmless in the body until it is specifically activated by the enzyme – without having an impact on healthy cells and causing side effects. He collaborated with Gerry Potter, a medicinal chemist and expert in drug development, to create a synthetic prodrug called DMU-136 which kills cancer cells by converting CYP1B1 into a tyrosine kinase inhibitor. Tyrosine kinase enzymes are overactive or are found at high levels in tumors. Blocking them prevents cancer cells from signaling, dividing and growing, which eventually leads to apoptosis (programmed cell death). It’s considered a type of targeted therapy. In mouse studies, Potter was able to demonstrate a reduction in cancer adenoma growth by 46% compared to controls – and they observed no side effects in the treated group. The next development is described by Dr. Burke as “Gerry’s eureka moment.” Through the design of the prodrug, they knew that a 3-dimensional arrangement of a few atoms within a molecule acted as a key to unlock the activation mechanism so that CYP1B1 could be targeted. Dr. Potter thought it likely some plants would also have this key motif, working just like the prodrug to seek out the enzyme in the cancer cell. His hunch turned out to be correct. The chemicals in plants that contained the correct structure he called salvestrols. Salvestrols enter the cancer cell and encounter the enzyme. This causes them to get activated to a metabolite – an anti-cancer agent – which leads to cell death through apoptosis. No harm comes to a normal cell, because it contains no CYP1B1 for the salvestrols to encounter. A further experiment showed that when cancer cells have their CYP1B1 blocked they lose their vulnerability to salvestrols. This proved it was the presence of CYP1B1 that made them that vulnerable. Herbs: parsley, basil, sage, mint, dandelion, thyme, rosemary. Vegetables: artichoke, asparagus, broccoli, cauliflower, watercress, rocket, cabbage, avocado, celery, cucumber, spinach, pumpkin, zucchini, eggplant, bell pepper, olive. Fruit: strawberries, raspberries, apples, citrus fruit, cranberries, grapes, mangoes. However, eating plenty of these and other natural plant foods will not be of help unless they’re organically grown. The reason is that the plant produces salvestrols to fight off pathogens. But when pesticides and fungicides are sprayed on the crops, the plant does not get infected and so does not receive the signal to make salvestrols. The plant is also most vulnerable just before ripening, but if picked well before this — which is generally the case with conventional produce — then the salvestrol content will be much lower. Another reason for the disappearance of salvestrols is because we much prefer foods that taste sweet, but salvestrols are bitter. Manufacturers remove the bitterness from foods like fruit juices by taking out the salvestrols. 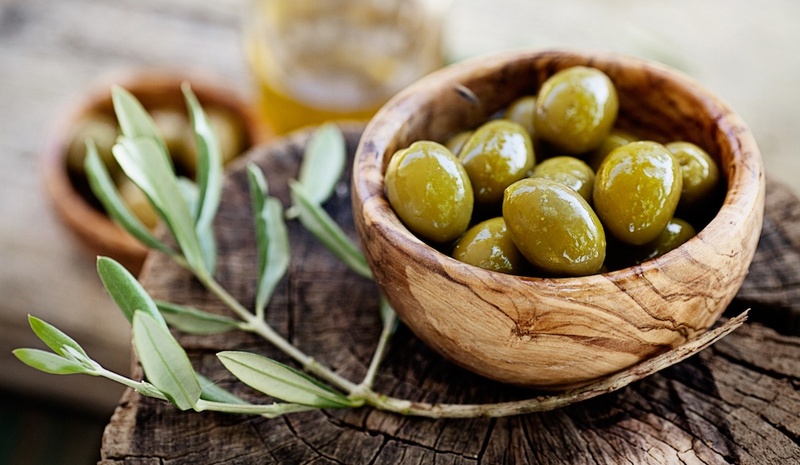 Olive oil is an excellent source of salvestrols, but only if it is organic, unfiltered and cloudy. Plant breeders have also created varieties of fruit that contain fewer salvestrols, so they will taste sweeter. Heritage breeds of organic fruits and vegetables will contain the most salvestrols. Dr. Burke estimates that we are only getting ten percent of the salvestrols in our diets that people were getting a century ago. There are no human clinical trials and this won’t happen, at least in the US. If they do take place it’s likely to be in China, where the enzyme still seems to be accepted as a universal tumor marker. Since 2014, oncologists Drs. Zhao and Wang at Renkang Hospital at Southern Medical University near Hong Kong have used salvestrols with all patients, together with conventional treatments — they don’t appear to interfere with one another – and some other alternative treatments. The Schachter Center for Complementary Medicine in New York has been using salvestrols as part of its integrative treatments since 2013. Three papers were written in the Journal of Orthomolecular Medicine in 2007, 2010 and 2012 demonstrating effectiveness in patients against many forms of cancer such as lung, melanoma, prostate, breast, bladder, liver, colon, Hodgkin’s lymphoma, chronic lymphocytic leukemia and primary peritoneal carcinoma. In Dr. Brian A. Schaefer’s book Salvestrols – Journey to Wellness he describes a remarkable case of a 93-year-old woman who was unable to walk because of a malignant melanoma in one leg. She also had many black spots on the skin, demonstrating the cancer had spread widely. She was told no conventional treatment would help. She was given salvestrols and other supplements by a naturopath. Within a few months, the black spots started to fade and she started to walk again. At the end of a year, the black spots had gone, she was walking well and no evidence of cancer could be found. This of course is a “best case,” but it shows what can be possible. Response to salvestrols varies from no response at all to quick and complete. The typical response time is several months. Salvestrols are available as nutritional supplements, but the patient needs to avoid various substances that interfere with their absorption or inhibit CYP1B1. These are: laetrile or bitter apricot kernels, high doses of resveratrol, grapefruit or its juice, cigarettes, cannabis, St John’s wort, ginseng, hesperidin, artificial sweeteners, calcium d-glucarate, and the diabetes drug, metformin. Nutrients which make salvestrols more effective are iron, magnesium, niacin or niacinamide, biotin, selenium and vitamin C.
The potency of salvestrols is measured on a points scale. A high quality organic diet will contain 300 points. One brand of supplement called Salvestrol Platinum contains 2000 points per capsule from fruit extracts. If you’re healthy today, salvestrols can safely be taken for prevention, to make sure you stay that way.